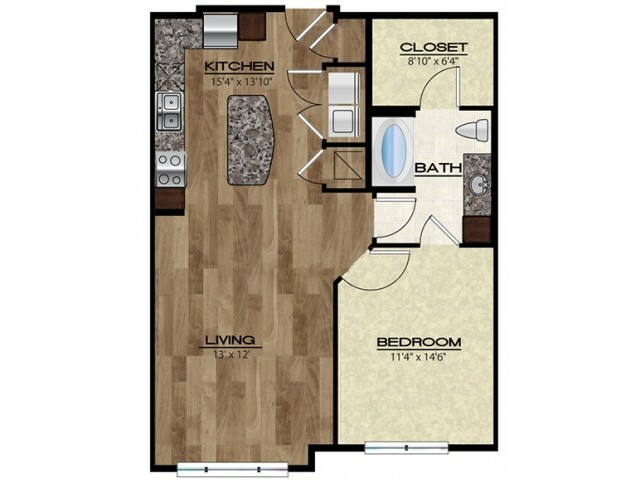 The Venice is a one bedroom, one bathroom home. This home features a large living room and a large kitchen which features a large kitchen island perfect for a casual meal or for hosting friends. Other features of this home include in-home laundry, walk-in closet, and great views.